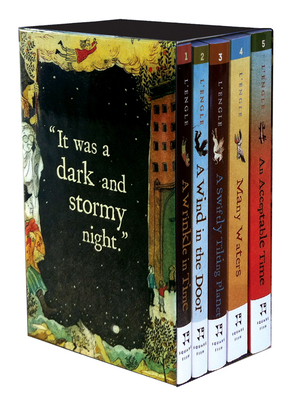 A Wrinkle in Time—One of the most significant novels of our time. This fabulous, ground-breaking science-fiction and fantasy story is the first of five in the Time Quintet series about the Murry family. A Wrinkle in Time is soon to be a major motion picture from Disney, directed by Ava DuVernay, starring Storm Reid, Oprah Winfrey, Reese Witherspoon and Mindy Kaling.